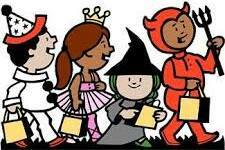 Inviting ALL our little witches, monsters, and ghosts to our FIRST Neighborhood Halloween Parade! Where: By our Font Hill Wetland Park. When lining up, please help ensure our children are on the sidewalk and not on the street. All our children and grandchildren. Come dressed up. There will be some treats for our young children but this is not a full blown trick-or-treat event. There will be Halloween music. All our children and grandchildren 12 years or younger can enter the contest. All contestants must be in Halloween costumes. There will be 5 winners. 1st, 2nd, 3rd and the cutest little boy, and the cutest little girl. During the parade please request a costume contest entry number, our judges will be walking around and making their selection. All winners will be announced within 30 minutes after the end of the parade, you must be present to win. The membership table will be available to accept payment of your 2016 dues, please bring cash or check. Your membership dues makes events like this possible in our neighborhood. Come to See our wonderful young children in their Halloween costumes. Come and Celebrate Halloween with friends and your Font Hill family!